Steve Gadlin’s Star Makers brings you tomorrow’s stars of Hollywood and/or Broadway. Whether it’s rapsters rapping, rhythmic clapping, tapless tapping, or belly slapping, our show aims to celebrate the unique and diverse talent around us. We give a stage to performers of all talents, regardless of skill level. SGSM is built on the philosophy that it’s fun to watch people performing talents that they love. Steve Gadlin’s Star Makers is produced by Steve Gadlin, Erica Reid, and Fuzzy Gerdes, and created by a revolving production team of friends and volunteers. Our shows are currently recorded at CAN-TV. Shows are broadcast exclusively in Chicago on CAN-TV channel 19, and can also be viewed on YouTube or Amazon Prime. Our show is supported by an amazing group of patrons on Patreon.com. 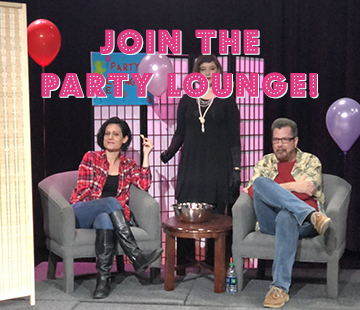 If you’d like to appear on Steve Gadlin’s Star Makers, either as a performer or a member of our 2-person studio audience, please contact us.